VAMBOA is committed to the success of these military veteran business owners, and does so by working with corporations to meet their military veteran supplier diversity goals, as well as their hiring initiatives for veterans. 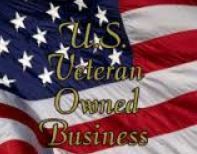 VAMBOA is also in the process of creating local infrastructures around the country to provide one-stop, turnkey resource/referral communities; the goal of which is the overall success of these veteran owned businesses. VAMBOA is a California based 501 (c) 6 non-profit trade association, established in 2010, with a nationwide membership of over 6,000 Veteran & Service Disabled Veteran Business Owners. Along with our sister site (www.MilitaryConnection.com), we have over 524,000 combined followers (and growing!) on Twitter and Facebook. VAMBOA is quickly becoming the Go-To-Trade Association for Veteran and Military Business Owners, and those who want to support them. For information about corporate sponsorship and local associate memberships, contact Mr. Paul F. Mara, Director of Development at paulmara@vamboa.org or 612-889-5887. 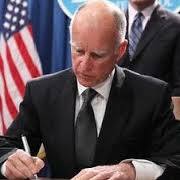 California Governor Jerry Brown has signed another veterans bill! VAMBOA was proud to lend our support to AB 413-Chavez. 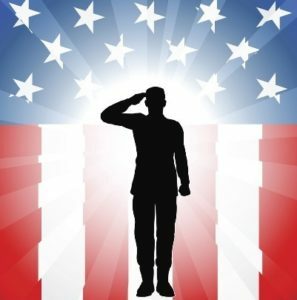 The bill will allow the child or spouse of a disabled Veteran to enter into new Disabled Veterans Business Enterprise (DVBE) contracts after the death or disability of the Veteran, if the contract can be completed within the current three-year DVBE certification period. Doing so would provide the families time to continue the business after the death of a Veteran without an immediate end to the business. “Veterans and their families make great sacrifices to protect our nation. Allowing these families to continue to run and operate a business after a death of not only a Veteran to them, but a parent or spouse is important. The cost of war is not only paid in sending our military to the battlefield, but it is also caring for them when they return. I am grateful the Governor recognizes this principle and supported this bill” said Rocky Chávez, the bill’s sponsor. Chávez is a retired Marine Corps Colonel, former City Councilman and former Acting Secretary of the California Department of Veterans Affairs. He represents California’s 76th Assembly District, which includes Camp Pendleton, Carlsbad, Encinitas, Oceanside and Vista. Do You Have A Hobby, Job Or Business? Or would you rather have a J-O-B… maybe that hobby would be fun, perhaps you can profit with that? To clarify, hobbies, jobs, and startups are great ideas. Just be sure to approach them in the right way. Hobby – an interest outside one’s general occupation, particularly for unwinding. JOB – routine work that someone does to earn a paycheck. Business – a venture of making, purchasing, or offering products/services in return for money. You can. But it won’t be your hobby any more. We all ought to have a diversion in life…something you do on special occasion or to relax. I love awesome BBQ (like I’m the only one, right?). I love cooking it, hanging around the smoker and seeing it reach perfection. However, imagine a scenario where I needed to get up each morning at 3am to put meat on the smoker and get everything prepared for my customers. Would I like it as much? Would it transform my enthusiasm into drudgery? Possibly. Owning a BBQ smokehouse has around 22,418 more “jobs” to it than simply smoking some brisket from a lawn chair. I would need to have a full comprehension of the restaurant business before making my BBQ pastime into a business. At that point I would need to get another hobby! What if I make a business out of my current job? Ok. Suppose you have killer welding abilities at the place you work at presently. Why not open a welding shop in your town and satisfy all their welding needs? But your welding skills were just one part of your previous employers company. How did they attract customers? Who purchased the supplies? Who did the bookwork…managed the utilities? You might need to trade in your welder’s helmet for the various business hats you’ll end up wearing. At that point, are you doing more jobs than the just the welding, at which you excelled? But won’t I be more relaxed if I great my business like a hobby? Sure…if by “relaxed” you mean “failed”. You just can’t run your business the same way you treat your hobby. I took up biking and it cost me $300 for a used mountain bike. Fishing is fun and got a fly rod for Christmas last year. I purchase a few flies each time I go to Bass Pro. However, I can stop fly fishing for a time and not have any effect on my salary, employment or business. That’s the reason it’s a hobby… you don’t HAVE to do it. you likely won’t miss a car payment. You can start and stop hobbies often. Nobody will mind. Well maybe if you have 28 fly rods and only use them once every 4 years, your wife might comment on it! But that topic is for another day. Run your business with intention. Create SMART goals (specific, measurable, attainable, realistic, time-bound). Define the jobs within the business and the people that should be doing them. Organizations ought to be run diligently (with the proper time off for those hobbies). Try not to “wish” or “hope” things get completed… dole out every one of the tasks BEFORE you open for business. You’ll have enough surprises without making them yourself. Brian Richardson runs VetLaunched.com. He helps veterans start their own business through coaching, training, classes and trusted resources. Pick up a copy of his unique resource list at www.VetLaunched.com.